The legendary style of the Jeep Wrangler has been captivating American motorists for over 3 decades now. With the 2018 Jeep Wrangler, this classic style is given a modern twist. 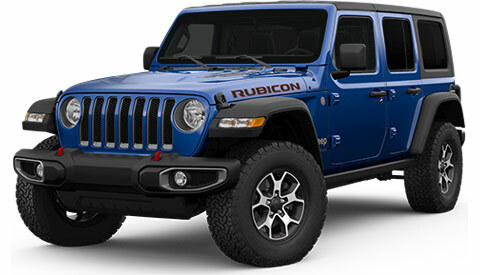 The new Wrangler is sure to turn heads, whether you’re in traffic or going off-roading with your friends. Of course, the 2018 Wrangler also has plenty of useful exterior features. Not many SUVs on the road today have standard skid plates, but the Jeep Wrangler does. This feature illustrates its genuine commitment to off-road capability, which many other SUVs merely pretend to have. The 2018 Wrangler is stylish, too, with an available body-color hardtop. The optional LED headlights light up the road or the country with bright and energy-efficient illumination. Check out the muscular American style of the 2018 Wrangler. Take a test drive at Naples Chrysler Dodge Jeep RAM today. Jeep knows that Naples-area motorists will make strenuous demands of the 2018 Jeep Wrangler. The interior features just as many practical and durable features as the exterior. It also has a modern and understated style that references the toughness and durability of the 2018 Wrangler itself. The interior features of the Jeep Wrangler include standard drain plugs in the floor, which can be taken out quickly and easily to allow the interior to be sprayed out. The 2018 Wrangler also features standard split-folding rear seats that allow drivers to maximize cargo space in a matter of seconds. The available auto-dimming rearview mirror allows drivers optimal visibility at night, even in front of vehicles with extremely bright headlights. 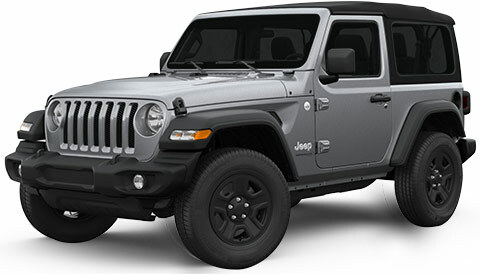 If you’re looking for a versatile Jeep, Naples Chrysler Dodge Jeep RAM has the 2018 Wrangler in stock. Come in today for a test drive. Everyone knows that the Jeep Wrangler is tough and can stand up to a lot of punishment. Unsurprisingly, it receives solid crash-test results on all of the major NHTSA tests. Jeep could have stopped there and decided that the 2018 Wrangler’s safety levels were good enough, but that isn’t the Jeep way. Jeep vehicles, including the Wrangler, have been characterized by a dedication to safety that’s been evident since the early days of the company. This dedication to safety led Jeep to develop advanced safety aids like standard Electronic Stability Control. This feature works for both routine driving on the road and for off-road use. Electronic Stability Control in the Jeep Wrangler also includes a unique feature known as standard Trailer Sway Control, which makes towing much easier and safer. The Jeep Wrangler also has advanced versions of proven safety aids like ABS, which are tuned specifically for the 2018 Wrangler’s driving dynamics. Searching for a safe SUV at a local Jeep dealership? Your search is over when you come to Naples Chrysler Dodge Jeep RAM. The 2018 Jeep Wrangler has to perform both on the road and off-road. Most of the SUVs on the market today that claim to have off-road capability don’t, because their owners won’t attempt to actually take them off-road. Jeep knows that drivers of the 2018 Wrangler certainly will take the vehicle off-road. The standard 3.6L Pentastar® V6 kicks out a meaty 285 horsepower and 260 lb.-ft. of torque that can take the Jeep Wrangler wherever you need to go, even if that’s far off the beaten path. This impressive engine is paired with a tough optional 8-speed automatic transmission that provides smooth power delivery. As you might expect, an advanced 4-wheel drive system is standard on the 2018 Jeep Wrangler. Take the 2018 Wrangler out for a spin at Naples Chrysler Dodge Jeep RAM today. Visit our showroom for a test drive. One aspect of the 2018 Jeep Wrangler’s excellence that may surprise drivers in Naples and elsewhere is the cutting-edge lineup of technology. The 2018 Wrangler features standard steering-wheel mounted audio controls that allow drivers to control their music without taking their eyes off the road. The audio system and other entertainment and vehicle information features are run through the standard Uconnect® infotainment system, which is known to be one of the easiest automotive infotainment systems to use. The Jeep Wrangler even has optional GPS navigation to ensure that drivers get where they need to go. Drivers in Bonita Springs, Cape Coral, and elsewhere in the Naples, FL area can try out the exciting technology in the 2018 Wrangler. Schedule a test drive today.